November 2 is the 306th day of the year(307th in leap years) in the Gregorian calendar. 59 days remain until the end of the year. 1960 – Penguin Books is found not guilty of obscenity in the trial R v Penguin Books Ltd , the Lady Chatterley's Lover case. Year 619 (DCXIX) was a common year starting on Monday of the Julian calendar. The denomination 619 for this year has been used since the early medieval period, when the Anno Domini calendar era became the prevalent method in Europe for naming years. Khagan or Qaghan is a title of imperial rank in the Turkic, Mongolic and some other languages, equal to the status of emperor and someone who rules a khaganate (empire). The female equivalent is Khatun. Year 682 (DCLXXXII) was a common year starting on Wednesday of the Julian calendar. The denomination 682 for this year has been used since the early medieval period, when the Anno Domini calendar era became the prevalent method in Europe for naming years. Umar ibn Abd al-Aziz or Omar ibn Abd al-Aziz was an Umayyad caliph who ruled from 717 to 720. He was also a cousin of the former caliph, being the son of Abd al-Malik's younger brother, Abd al-Aziz. He was also a matrilineal great-grandson of the second caliph Umar ibn Al-Khattab. Year 971 (CMLXXI) was a common year starting on Sunday of the Julian calendar. Emma of France was a French princess by birth and queen by marriage. She was also known as Emma Capet, Emma of Burgundy, Emma of Neustria. She was the daughter of Robert I of France and either Aelis of Maine or Béatrice of Vermandois. Her family is known as the Robertians. Year 1083 (MLXXXIII) was a common year starting on Sunday of the Julian calendar. Erc mac Dega, also known (incorrectly) as Herygh, was an Irish saint. He was active in Cornwall. Tradition ascribes the foundation of the original monastery on the Hill of Slane to him. Ireland is an island in the North Atlantic. It is separated from Great Britain to its east by the North Channel, the Irish Sea, and St George's Channel. 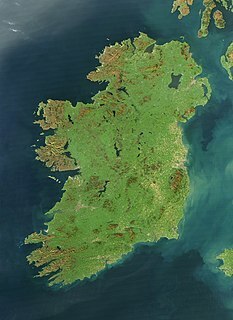 Ireland is the second-largest island of the British Isles, the third-largest in Europe, and the twentieth-largest on Earth. Saint Justus of Trieste is a Roman Catholic saint. Agapius, Atticus, Carterius, Styriacus, Tobias (Pactobius), Eudoxius, Nictopolion, and Companions are venerated as Christian martyrs. Daniel Alexander Payne was an American bishop, educator, college administrator and author. A major shaper of the African Methodist Episcopal Church (A.M.E.), Payne stressed education and preparation of ministers and introduced more order in the church, becoming its sixth bishop and serving for more than four decades (1852–1893) as well as becoming one of the founders of Wilberforce University in Ohio in 1856. In 1863 the AME Church bought the college and chose Payne to lead it; he became the first African-American president of a college in the United States and served in that position until 1877. Saint Domninus of Vienne was a bishop of Vienne in France, venerated as a saint. August 8 is the 220th day of the year in the Gregorian calendar. 145 days remain until the end of the year. December 8 is the 342nd day of the year in the Gregorian calendar. 23 days remain until the end of the year. 1 2 "BBC ON THIS DAY - 2". news.bbc.co.uk. Retrieved 27 March 2018. ↑ "Raymond Chow, Hong Kong producer who found Bruce Lee, dies". The Guardian. 2018-11-03. Retrieved 2018-11-07. Wikimedia Commons has media related to November 2 .